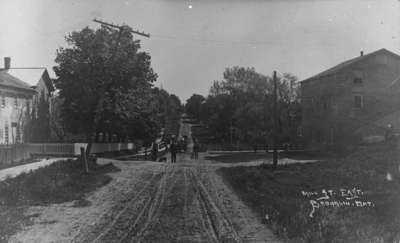 A black and white photograph of Mill Street (now Cassels Road) looking east and the Brooklin Mill. The Brooklin Mill was built in 1848. The house at left has been demolished.